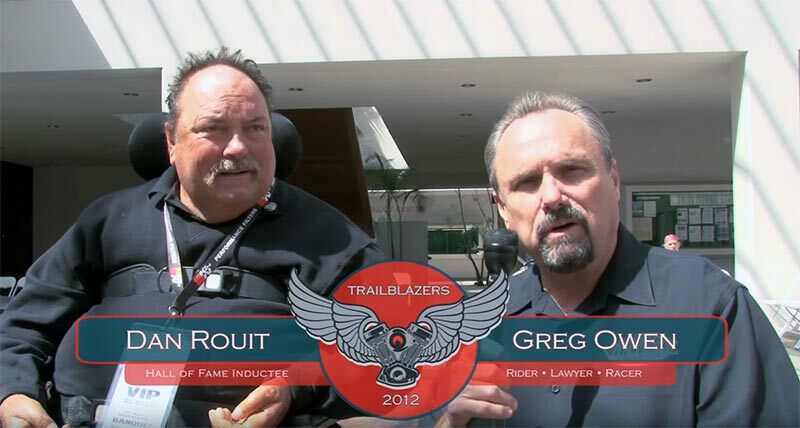 true racing motorcycle history is our goal. and pictures, are all displayed for the racing enthusiast. 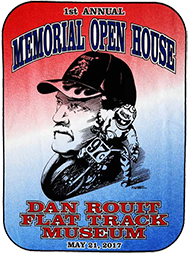 Hello Flat Track Race Fans & supporters, Although this comes a bit late, it comes with much gratitude for your continued support of Dan Rouits endeavor to keep the roots/history of flat track alive for us and for future generations. Without your tireless physical & financial help, keeping all the Museums memorabilia and assets in one place to enjoy would be impossible. The 2 main fund raisers that I will continue to keep going each year will be "Movie Night" which is on the 3rd Saturday night in January from 6:00PM to 10:00ish PM and the "Annual Memorial Open House" the 3rd Sunday of May, from 10:00AM to 3:00PM PST. 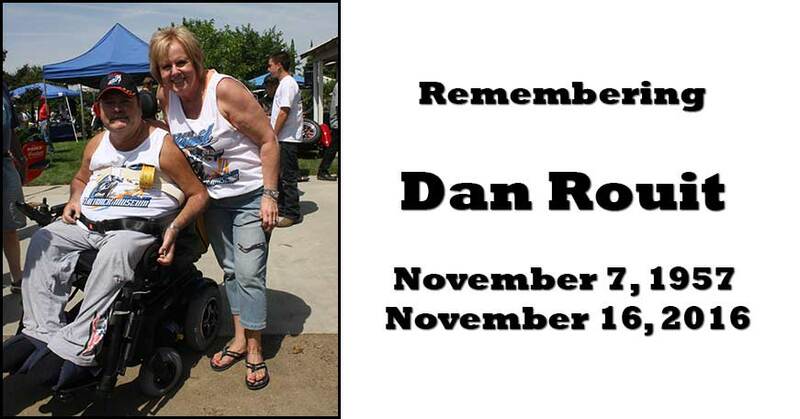 Both gatherings are in loving memory/tribute to Danny Rouit and his life and love of the people and machines involved with flat track racing. I have to apologize to some of our most generous supporters that I failed to include on this years T-Shirts! Brian Bergen DBA B&M Transmissions, Jerry Turner DBA Turners Auto Wrecking, Scott Ellis DBA Ellis Construction just to name a few, plus any others I left out! Please contact me, Kathy Rouit, by phone or drop me a note to include you on next years shirt! These shoes of Dannys are impossible to fill, but we have to give it our best shot for his sake! This is what he wanted!